Much has been written about millennials, roughly defined as those born after 1980, the first generation to come of age in the new millennium. But the sheer number of these young adults—75.4 million, according to a 2016 Pew Research Center analysis, compared to 74.9 million baby boomers— means that their influence continues to mount, affecting everything from the way we shop to the way we communicate. That includes the way we bank, because when it comes to banking, investing and other financial services, millennials are doing things differently. Banks of all sizes and types have been working in recent years to understand how young adults today want to do business, and the products and services they are developing to meet those tech-savvy, time-sensitive needs are benefiting customers of all ages and stages of life. Most consumers want financial advice from people who understand their personal needs and goals. In that way, millennials are no different than their parents and grandparents. But the needs and goals of this generation often are different and require different solutions. Instead of staying in one job for decades, for example, millennials are more likely to have several jobs and careers over the course of their lives. Rather than buying a house in their early 20s, they may decide to rent for longer periods of time. They may still be weighed down by student loan debt, and salary growth—or even finding a decent job— may take longer. These factors often mean that the timeworn financial strategies of the boomer and Gen X generations— buy a house, stash every penny you can into a 401(k)—may not be the best choice for millennials. 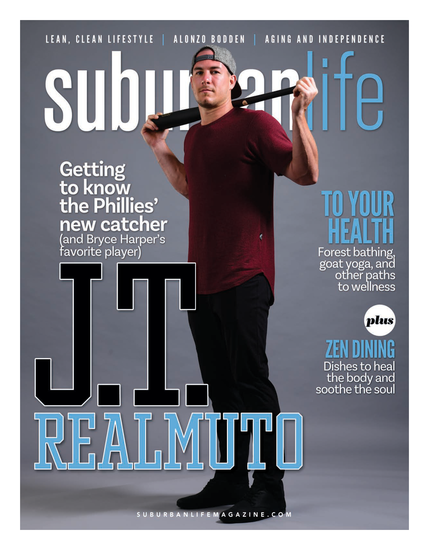 Tynes is just one young professional helping to bring a fresh perspective to Penn Community Bank, Bucks County’s leading, independent mutual financial institution. Others include Nicole Boytin, vice president, commercial lending; Sara Friedman, market manager, Quakertown and Milford; Kirsten Palmieri, assistant vice president, human resources; and Natalie Taptykoff, senior marketing specialist. Together with their colleagues, these young adults are working to make banking easier and more convenient—changes that benefit customers of all ages. That was precisely what Penn Community Bank President and CEO Jeane Vidoni Coyle was aiming for when she and the bank’s executives charged their team with recruiting and retaining talent from the millennial generation. To solicit that input, the bank initially formed a millennial committee to discuss ideas and issues. From that committee, a series of recommendations flowed, many of which were implemented by departments across the organization. One recommendation was to add an Instagram channel to the bank’s already robust social media presence. Another—adopting a system to allow job applicants to apply online —already was underway. Yet, another was to lower the threshold age for a minor checking account from 18 years old to 15 years old, in order to make the account available to teens who were taking on their first jobs. Eventually, the millennial committee was disbanded in favor of placing young professional team members on the bank’s decision-making committees. As the younger professionals work alongside their more seasoned counterparts, they are encouraged to take on leadership roles at work and in their community, and are recognized for doing so. In fact, two team members, Boytin and Friedman, recently were named among Bucks-Mont’s Emerging Leaders for 2017 by The Intelligencer and the Bucks County Courier Times. Nearly each year, financial industry pundits predict the imminent demise of the retail bank branch. The millennials’ fondness for doing as much business as possible on their phones would kill off the local bank branch, they said. And it certainly is true that the generation that came of age with a powerful computer in their pocket wants to be able to bank when and where they like. The demand for financial technology tools led Penn Community Bank to offer remote check deposit and online account openings. It also continuously works to improve its mobile banking app. Still, Tynes says there is room for both digital and traditional banking, even for millennials. 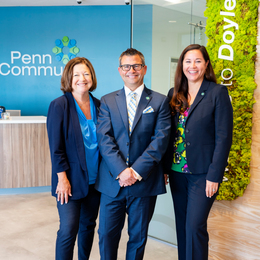 Penn Community Bank offers that expert advice with a personal touch at 24 bank branches across Bucks and Montgomery counties. Information about banking, lending, insurance and investments can be found at PennCommunityBank.com.